At first glance the two hollow elm trees in Brighton's Preston Park may appear old but ordinary. Yet, standing majestically at 30ft tall, they prove the success of a vigorous campaign by experts to defeat a deadly plague that almost wiped out Britain's elm population. More than 30 million specimens across the country were lost to Dutch Elm Disease which hit Britain in the 1970s. That Brighton's parks and Georgian streets still have 15,000 elms is testament to the efforts of a team of council tree experts who refused to yield to its ravages. And while many people have forgotten about this voracious disease, council arboriculturist Rob Greenland remains vigilant. This summer, one of the elms in Preston Park had to be felled after it bore the hallmarks of the disease. 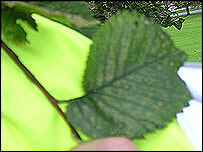 Council officers remain on guard against the pest and keep watch for tell-tale yellow mottling on the leaves - although, despite August's incident, new cases are rare. 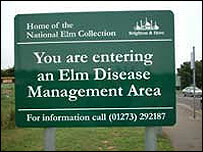 Since the epidemic 30 years ago, elms are now restricted to a stronghold on the South Coast. Brighton boasts the nation's largest stock of elm cultivars and varieties, and Mr Greenland says the species can display widely differing habits. But all members of the elm family can be distinguished by their purple flowers in early spring and their asymmetrical leaves that have a long and a short lobe. The city's Edwardians and the Victorians planted about 25,000 elms, a species that copes well with coastal exposure and the salt in the wind. Mr Greenland, who has looked after the city's tree stock since the late 1960s, said when the disease began to hit in the 1970s: "We were not willing to just roll over." 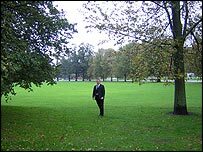 He said Brighton and Hove, then two separate towns, were in a position to tackle Dutch Elm Disease because it was a small urban area - compared with large, rural counties such as Kent where trying to control the fungus would have been an enormous undertaking. The disease was transmitted by beetles which munched through infected bark and passed on the fungus before being further spread by the trees' linked root system. By 1971, Southampton had suffered large losses but Brighton officers seized the chance to learn. "We looked at all the places that already had the disease and identified mistakes that we then didn't make," Mr Greenland said. Unlike neighbouring Southampton, they chose not to inject trees because chemical controls only worked for a short time. Instead Brighton tree experts found it more effective, and cheaper, to prune out the fungus. Officers also avoided setting bait traps for elm bark beetles in the middle of the city because they simply attracted bugs into the centre. Traps were instead set at the outskirts. And they asked the council to pay for the treatment, or felling, of privately-owned elms. Mr Greenland said: "Politicians took a very brave step in using public money to pay for private trees. "Someone facing a bill for taking a tree down might not tell us. "And while we dealt with our own trees, it wasn't happening quickly enough in private gardens, which was undermining local projects." 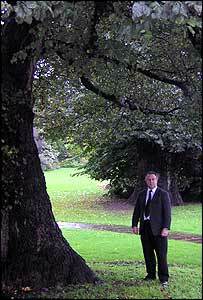 He said: "In the really heady years, when we were losing lots of trees, the public were fantastic and there was a campaign. "The campaigners were sometimes in a position to push politicians more than the officers. "It was happening all over and it wasn't just us, and in some ways our 700 losses a year was better than the 3,000 or 4,000 losses in someone else's rural area. "So it seemed to be worthwhile - and we had the conviction that we were always going to win."